If you have any questions related to this project. 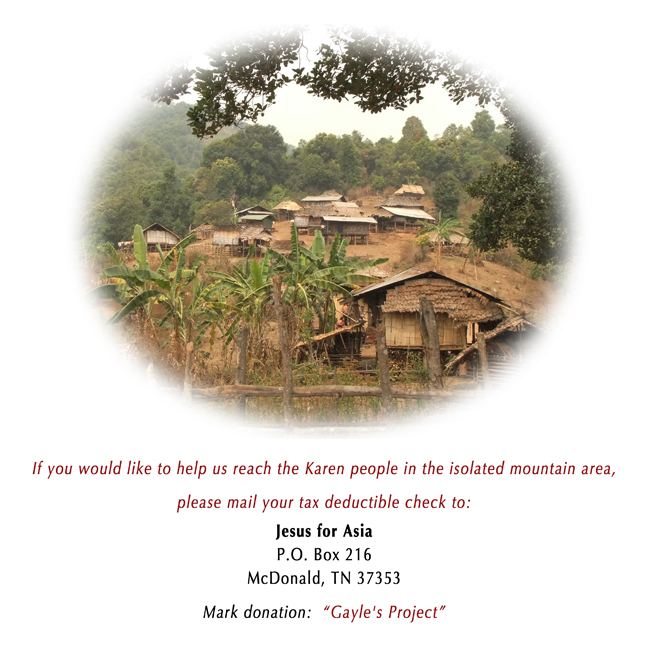 Praise God for what He has done and continues to do in your life to impact the Karen people of Thailand with the Gospel of Jesus Christ. I have been watching your videos on Youtube and have been blown away by your testimony, love for Jesus, and the compassion you shine in this very challenging mission field. I am so convicted by what you are doing and how you are doing it. I have committed to pray for you and support your efforts financially. May Jesus Bless you. Joshua 1:9-King James Version (KJV)-9 Have not I commanded thee? Be strong and of a good courage; be not afraid, neither be thou dismayed: for the Lord thy God is with thee whithersoever thou goest. Thank you so much Joseph for your prayers and your donations. The Holy Spirit lives in your heart and is flowing out to us! !